One thing I love about business owners is their passion for what they do. That’s why they get into their line of work. But I often see them stressed, frustrated, or overwhelmed in the running of their business. Behind-the-scenes work becomes a grind and they lose the joy that first inspired them. The secret to re-igniting this passion lies in that which makes their business tick—their business processes. A business process is simply how you accomplish any given task, how you get from A to B. Every business has dozens of processes at work during the course of a day. Most of them you and your staff just “know” how to do, whether it’s answering phones, building a component, or writing an article. The problem is most business owners don’t invest time in documenting, measuring, and managing these business processes. They're busy with other important things. Yet as the business tries to grow, inefficient processes prevent it. That’s when stress and burnout rear their heads. Various studies1 show that while 96% of businesses have some documented processes in place (probably from the start-up phase), only 4% actually measure and manage them. 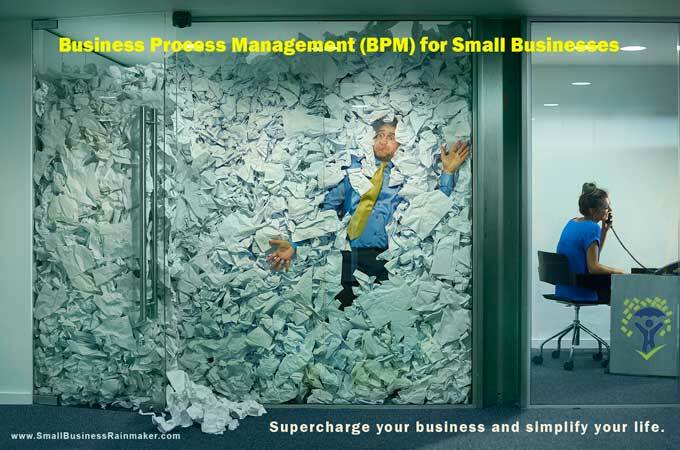 This is why we created Business Process Management (BPM) for Small Businesses. As a business owner myself, I'm painfully aware of how valuable your time is. There simply is never enough of it to go around. So when you do devote time to something, it MUST be high-impact. That’s what we’re offering. By the end of this step-by-step implementation plan, you’ll have two high-impact assets that will completely change your business, and how you think about business process management. First, you’ll have one completely re-designed process in your business. We walk you through it, so you end up with an efficient, streamlined process that instantly makes your business, and your life, more manageable. Secondly, you get a permanent system in place for documenting, measuring, and managing your business processes. Avoidable Mistakes—What Happens When You Don’t Manage Your Processes? Nature abhors a vacuum. It’s true in business, too. When processes are left to chance, something or someone will rush in to fill it. These things may or may not be efficient. They may or may not advance your business objectives although they will advance the objective of the person creating it, whether they're a customer or employee. The net result is complication. There are too many options, too many steps, and too many people involved. There are redundant tasks. You and your staff constantly re-invent the wheel. Your business isn’t exactly operating like the well-oiled machine you envisioned in the beginning! But if you’re like me and most other small business owners, the very words, “processes” and “systems,” are enough to make you feel instantly overwhelmed. Maybe even bored, because it's not exactly glamorous work. Yet the effectiveness of process management is undisputed. Companies like McDonald's or Dunkin Donuts can operate thousands of franchises staffed by students, and it's all because of process management. The study I quoted earlier mentions a small company who changed just ONE process and netted an extra $400,000+ annually. So we know that BPM works. …and you get the finely tuned business machine you always wanted, allowing you and your team to focus only on high-value work. Ahhh, but it’s the getting started that stalls you before you ever get started. That’s where Business Process Management (BPM) for Small Businesses comes into play. This proven A-B-C implementation plan simplifies and streamlines the high-impact activities in your business. You don’t have to start from scratch. We lay it all out for you. Here’s what happens as I guide you through creating your new streamlined processes. You get an overview of business processes and systems with real-life examples. You and your team will understand why it’s so important to optimize your processes. You learn how to quickly identify those inefficient processes which have the biggest impact on your success. You then pick ONE inefficient, complicated, or costly process to re-design with the help of our training. Here you’ll end up with a detailed document of your current process. Only when you know precisely where you are, can you identify the problems and make changes. In this step you ask yourself a series of questions that will reveal where there is room for maximum-impact improvement. The answers allow you to decide how to change, delegate, outsource, or automate. Here, we document and map your re-designed process. You’ll know exactly how it will work and who will be involved. Now that you’ve got your streamlined process in hand, we show you how to correctly test it before rolling it out. You also get some powerful suggestions for getting that all-important buy-in and engagement from all your employees once it’s rolled out for good. By the time you get here, you’ll either have a new process in place, or be ready to implement your new process. And most importantly, from that day forward, you’ll have a permanent, customized system for managing business processes. Join me as I guide you in step-by-step detail to your re-designed process. It’s only 82 minutes of video, but it’s 82 minutes that can change your life. Everything in the videos is covered here in print so you can easily refer to it any time. Use this workbook, with the videos, as your outline for the action steps for your re-designed process. This will be YOUR document for re-designing processes in your business. Use this Excel spreadsheet to organize your current processes and map out your new processes. A time-saving quick reference guide to the entire course so you don’t necessarily have to go back to the course book or video every time. An infographic with key points and action steps summarized. Visual reminders of all the concepts discussed in the videos and course book. A graphic representation of the entire course, for those who prefer visual learning. Follow along with the videos using this Handout Notebook containing all the slides and visuals along with a spot to take notes. Simply print it out and keep it handy as you watch the videos. Get started today with Business Process Management (BPM) for Small Businesses here. Everything we do here at the Small Business Rainmaker is predicated upon delivering high-impact results. And if you feel we don’t deliver, we back it up with our unique guarantee. 1) Risk-Free, Unconditional 30-Day Money-Back Guarantee. If any time in the first thirty days from date of purchase you aren’t thrilled with your results and delighted with our simple system, we’ll promptly refund 100% of your money. No hassles, no hard feelings, no fine print, and no special conditions or weasel clauses. I hate that kind of stuff and I know you do too. We have no desire to get money from you unless we give you far, far more in return. If after one year of using Business Process Management (BPM) for Small Businesses you feel it hasn’t returned to you at least 10 times your investment, we’ll give you a prompt, courteous, 100% refund. Simply send us copies of your completed workbook and spreadsheet. This is to show us you at least tried our system. Frankly, if you do what we outline, and use the material we give you, it’s possible you’ll get many times your investment back in the first few weeks. But we recognize it might take you a while to get started (although I don’t understand why you would wait.) Or you may have unexpected, pressing problems to contend with. Stuff happens. We know. So—we give you LOTS of time to make this work. Nobody else I know of offers a guarantee like this. If you have any questions after you purchase the course, email us and we’ll get back to you within one business day. We leave no question about the product, or how to use it, unanswered. There’s no limit to the number of questions you can ask and there is never a fee. Why such a bold guarantee? Isn’t it risky for us? Yes indeed, the risk is all on my shoulders. We know our system works and we know you’ll succeed when you work it. Turning over your hard-earned dollars to invest in something new can be a little nerve-wracking. We want you to feel confident and comfortable coming on board with our system. That's why we created this awesome guarantee. The bottom line is that we stand behind our program 100%. I know that this step-by-step plan is worth ten times, or more, than what you’ll pay today. If after investing you don’t feel the same way, well, you’ve lost absolutely nothing. You get your entire investment promptly and courteously refunded. We'll wish you nothing but the best. Will Business Process Management (BPM) for Small Businesses REALLY Boost My Revenue? 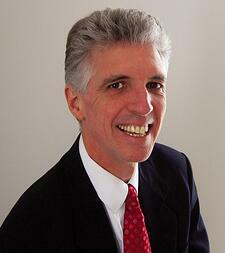 I’m Andre Palko, Founder and Editor of the Small Business Rainmaker™ and a few other small businesses. My first small business venture was a disaster. It got off to a good start but then screeched to a grinding halt. A couple businesses later, we hit our stride when we made it to the Inc. 5000 list of fastest growing private companies in the USA. One of the keys to that success was a small change that made an oversized impact—I paid attention to the processes we were using. 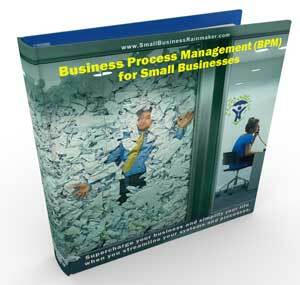 I wish I had Business Process Management (BPM) for Small Businesses from the beginning! It would have saved me a lot of heartache. What you’ll get in this system is knowledge distilled from my own experience and the experience of other successful entrepreneurs including my two brothers. Among the three of us we’ve operated 10 successful small businesses over the years. They all use good systems. So yes, it does indeed work. It’s not rocket science. (Most effective things in small business aren’t.) It’s a simple, effective tool that will save you the heartache of having to figure out how to do this yourself. Order Business Process Management (BPM) for Small Businesses today and by tomorrow you can be well on your way to a business designed to run the way you want it to run.